Powerful words you speak! Much much truth there. I started reading, but put it down after the Belomar (sp?) canal building. A huge waste of lives built on self-deception. Kind of like the acceptance of the alternate reality the left has pushed concerning the sexes. I appreciate your analysis! Always enjoy hearing your thoughts. Yesterday the ballot box, tomorrow the cartridge box. Elizabeth L. Johnson said, Oh, if I could only click "thumbs-up"! Except I truly believe the Lord is working in our behalf. My hopes are up, even if my thumb is not. Elizabeth L. Johnson said, And as a conservative and obvious intellectual, who doesn't conform to the speech and thought-control mechanisms of the left, please continue to post your thoughts. This is what I want to see more of; plus your gardening ideas and experiments! Thanks for enlightening me to Alexander, who I know nothing about, and the underlying principle of your point. Reminds me of your FBI uncle whose you tube video you posted. His talking points about communists were right-on and definitive of our modern times. Can you give the link so that I can watch it again? Probably a good idea for all of your readers. "God help us all", and I believe with all my heart He will. Right now. With the confirmation of Kavanaugh. 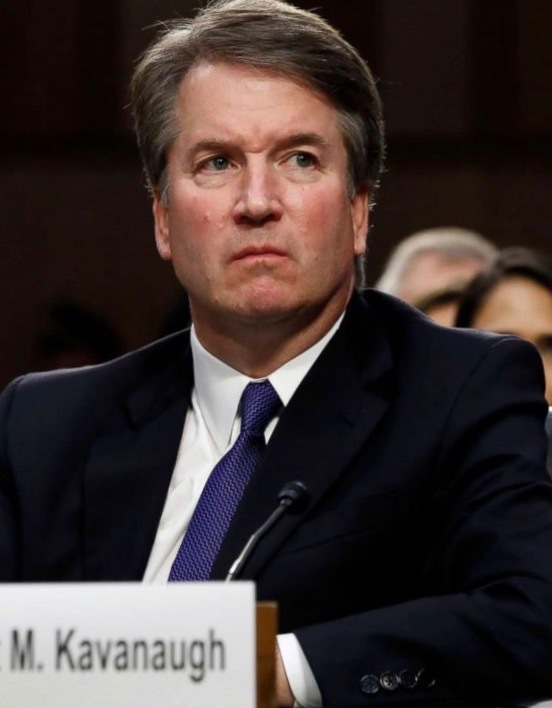 It all really boils down to good and evil, God and the enemy; the enemy who comes to steal, kill, and destroy this righteous supreme court candidate. Very nice, to once again be reading a lengthy, choice morsel we can chew on. Elizabeth L. Johnson said, I was on a rant, so on further thought, felt it was best to delete. Well written and well thought sir. I have not read The Gulag Archipelago, but it is on my list. Few political events in my life have disturbed me as much as this confirmation hearing, especially when it is coupled with the recent censorship of conservative speech on social media, and numerous, recent, coordinated, non-peaceful events by radical Leftists. Historically speaking, America has fended off Marxist efforts in the past. But there is a disturbing higher level of ignorance and brutishness (not to mention dependency) in our society these days. Such a population is easily manipulated into giving up their Constitutional birthright. That's the way it looks to me. I used to take comfort in the fact that just about everyone I knew was Conservative. Even the Democrats I knew were conservative. But that is no longer the case. I don't think God owes America any favors, but I surely believe in His grace and mercy, even in the midst of His judgement. Thus, I remain hopeful in the face of the Radical onslaught. I read The Gulag Archipelago a number of years ago and found it to be a real eye opener. It ought to be required reading for all. How easily this country could begin a slide down that steep and slippery slope. Mr. Kimball - you've referenced this book several times now over the years in your blogs. Did you read the (approved by the author) abridged version or the full, 3 volume set with notes. I'm motivated now to read the book after this post. I read the abridged version. That was difficult enough. I actually only read about 3/4 through. I almost stopped with the discussion of tortures. I want to re-tackle it again this winter. I have also read a pretty good biography of Solzhenitsyn. The Biography was very insightful. I'll have to get the title. TGA was particularly insightful in discussing the persecution of Christians after the Bolsheviks came to power. The whole Soviet "experiment" was, of course, a miserable failure and a systematic Marxist genocide of an enormous number of citizens. I challenge anyone to read the abridged book. You won't look at the world, and politics quite the same again. Violence is always used eventually. I read your article on early Russia and the Stalinist’s that came later. Your points and the analogy of Justice Kavanaugh are spot on. Having researched these topics most of my life and rubbed shoulders with some of the great thinkers of the 60’s, everything you say is crystal clear to me. I am 70, that means, it was recently pointed out to me, that I have lived through 30% of America’s history. Back when we really studied American history, the machinations of psychopathic leaders were studied and we frequently talked about them in that way. These were the real natural human beings (without God) who used power and promise of power within their court. Therefore, if the noble needs help in their area with an upstart like an a Kavanaugh he could request soldiers, spies, arms and so forth from the king. The king held these favors as “chits” to be called in when he needed favors. He was the richest man around and had the power to control by his law. He needed only an accusation arranged by a well-respected tool of one of his court. Such is the modern political system. The Billionaires can dangle the promise of being millionaires to our politicians and get any favor they wish. Like the Kings of earlier times, they have the money to get good, bad and ugly things done. And, what you didn’t say, but certainly alluded to was that for tyrants with too power eventually ignore the law and resort to violence. If the law can be skirted or ignored while giving it tacit approval, violence is the ultimate use of too much power by those who want to keep power. It is not the tactic of a certain group, it is the tactic of the powerful afraid of losing that power. Any lie, any rationalization, any manipulation of perception – including having a fearful population is just fine. It is the normative behavior of the natural man who does not know God. That’s why our founders, who had seen that misuse, wrote our Constitution. Thanks for a great read. I'm happy I checked back in at your old blog and found you've resumed blogging! I like the VBlogs but prefer your writing. Glad to see you are back!! I was worried that you were ill or worse!! 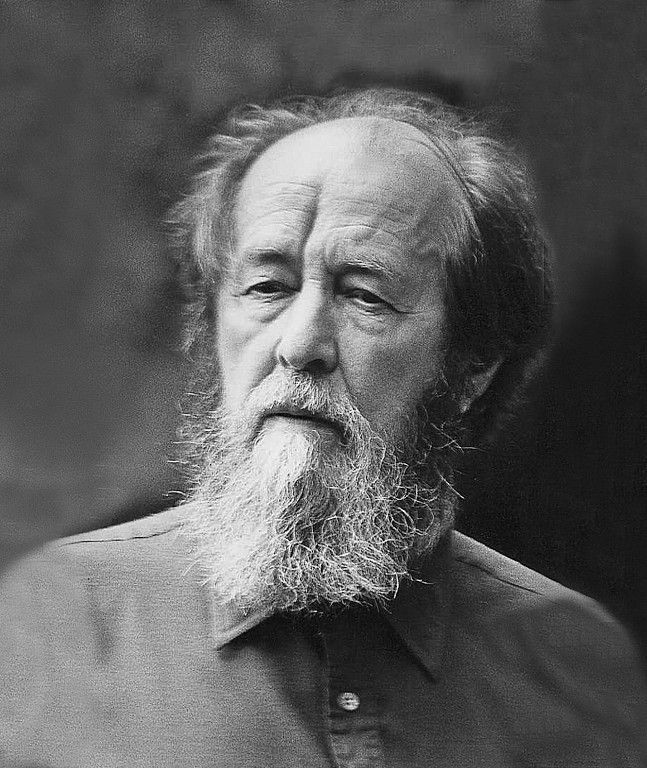 I have read a few of Solzhenitsyn's books, one of which was the Gulag Archipelago. I thought the same thing during the circus that was the hearing. I also saw that he was guilty until proven innocent. What evil!! I am afraid that Trump as president is a temporary respite from the total evil of what the Democrats have become, and, as Louis XV stated so accurately, I think "Apres Moi, le deluge", or Apres Trump, le deluge." I hope I am wrong. Agreed with others, nice to see some meaty, thoughtful content again. Hope you find more time for these types of posts along with the gardening / self reliance material. I too was particularly roiled by the Kavanaugh character assassination. It convinced me to vote in the midterms after I thought I had finally achieved a state of apolitical indifference. After years of dutifully voting "R", I'm still convinced there isn't much difference between the major parties. But the radicalized left's exercise of "the ends justify the means" was on full display in the Kavanaugh appointment process. As someone who has had his character successfully maligned in an employment environment (demoted in pay and position) with nary a trace of evidence to support the false claims against me, I could empathize with the judge. The absolute "guilty until proven innocent" tactics that the left employed incensed me. We will crumble as a nation if men continue to be vilified without due process. It only starts with men, then it will move to conservatives, then Christians, and anyone else that opposes the Marxist left. They are evil.... literally. i see you are back among us--good show! it is that famous train wreck we can all see but cannot stop. only God can stop this filth. the psychopaths are demonic. don't trust them. ask God to reveal the evil doers to you so that you can avoid them.